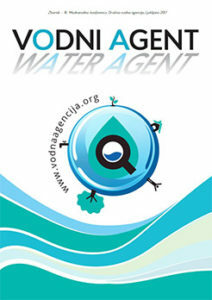 The Water agency Association as a partner of the European Sustainable Development Week initiative https://www.esdw.eu/partner/ organized a program this year focused on one of the goals of sustainable development – Goal 6 -to provide clean drinking water and sanitation for all – as well Goal 17 – partnership for the goals of sustainable development. The main theme of the workshops was sustainable development in connection with the presentation of plumbing and communal infrastructure, with an emphasis on the presentation of sewage treatment. During the program that we called the Water station outdoor education tour 2018, our demonstration vehicle with an educator visited 12 cities in 5 countries (Slovenia, Croatia, Austria, Hungary, Serbia), 3700 km was planted and over 2,000 children and their teachers took part in the workshops. Аffiliated elementary school Vogrsko – Mrs. Nadja Pahor Bizjak mobilized her entire school. Šćitarjevo – Velika Gorica – Zagreb. The workshops were attended by Mrs. Marija Vizner from the Croatian Waters, Mr. Nikica Visković from VG Vodoopskrba Velika Gorica and Jurica Kovač, an expert on loss of water supply networks. On the elementary school Žužemberk Ms. Blanka Trtnik from the Eco Vek presented organic cleaners products. On Elementary School Danile Kumar – in Ljubljana, Mrs. Zala Jan from the Institute of public and Enviromental Health of Slovenia, joined us. Serbian Kindergarten, Primary School, High School and Dormitory Nikola Tesla on Budapest we had spatial distress. We had to dismantle the water station so that we could place it in the courtyard of the school. 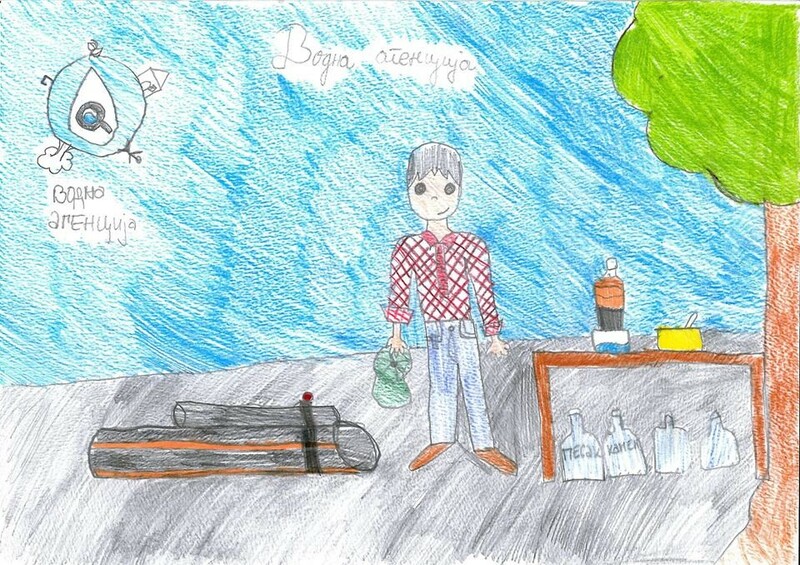 Pupils of teacher Mrs. Ljubinka Georgievich had fantastic reactions that she sent us through her drawings. In Subotica, Public utility Vodovod i kanalizacija with the City Assembly organized an event for the schoolchildren and citizens on the central square with the previous presentation of the project in the City Hall. 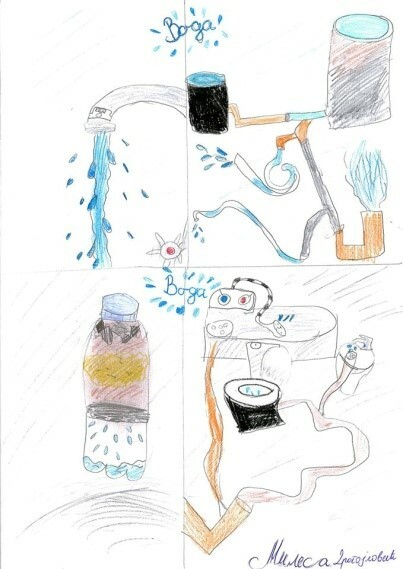 In the whole event called “Water for Sustainable Development”, children saw how they can make a biological wastewater treatment and ecological hygiene cleaner. Also, they can introduce the contents of the Water station workshop. Mr. Petar Doroslovački and Mrs. Agi Tukac were very supportive to us. “The children’s Water week” in the Amusement park Starli in Novi Sad, during over three days, covered the workshops of the Water Station, a partner from Public utility Water of Vojvodina and the Faculty of Natural Sciences and Technology in cooperation with the Children’s Ecology Academy. The children saw that the oak leaf could clean the water and which all the plants and animals live in the waters around us. On Elementary School “Djuro Pilar” in Slavonski Brod was a very good organization as like as in the previous year. 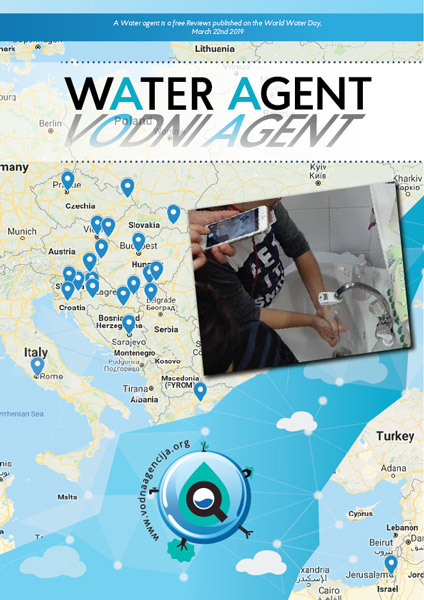 All thanks to Mrs. Korani Ambrozić from Vodovod d.o.o Slavonski Brod, who with great enthusiasm conducts the project Water agent in schools in Slavonski Brod. Mrs. Alida Domijan from KD Vodovod i Kanalizacija d.o.o in Rijeka has delegated educational packages for Water agent project to the new schools. In Piran, we had no possibility to manage the Water station; however, we conferred with Mrs. Nadio Zigante, the Principl, the packages of the Water Agent in Elemetary school Vinzenzo e Diego de Castro Pirano.